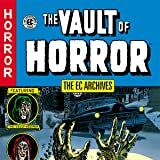 The Vault of Horror Volume 3comes to you courtesy of Dark Horse Comics! 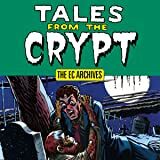 Presenting twenty-four terrifying tales illustrated by timeless talents, Johnny Craig, Joe Orlando, Jack Davis, Jack Kamen, Graham Ingels, and George Evans, this terrorizing tome also features digitally remastered colors, based on the originals by Marie Severin! 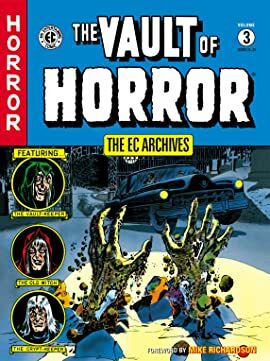 Collects The Vault of Horror issues 24-#29 in full color! Dark Horse reprints the legendary horror comic series! 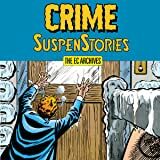 Features stories drawn by all-star comic artists Johnny Craig, Graham Ingels, Joe Orlando, Jack Davis, Jack Kamen, and George Evans! Foreword by Mike Richardson!